Specifications︰ The Lenzei500 is the newest frequency inverter from Lenze and is available in the 0.33 to 132kw power range. 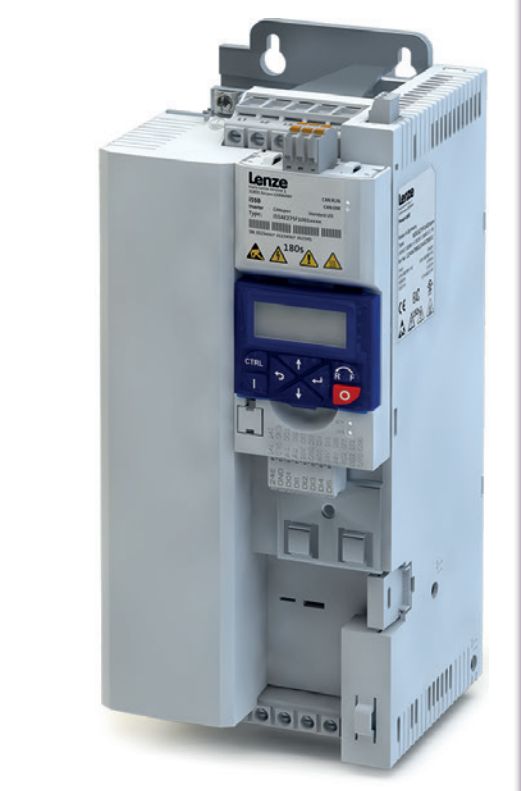 The Lenze i500 features a streamlined design, scalable functionality, and exceptional user-friendliness. Lenzei500 provides a high-quality frequency inverter that already conforms to future standards in accordance with the EN 50598-2 efficiency classes (IE). 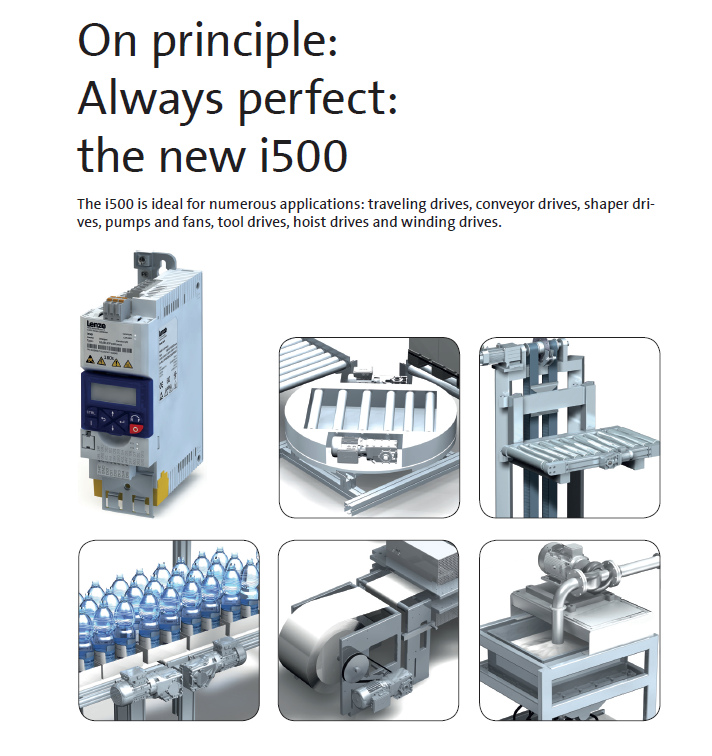 Overall, the Lenze i500 provides a reliable and future-proof drive for a wide range of machine applications. The functions and power of the new range of Lenze i500 frequency inverters can be tailored to virtually any machine application and industrial environment. 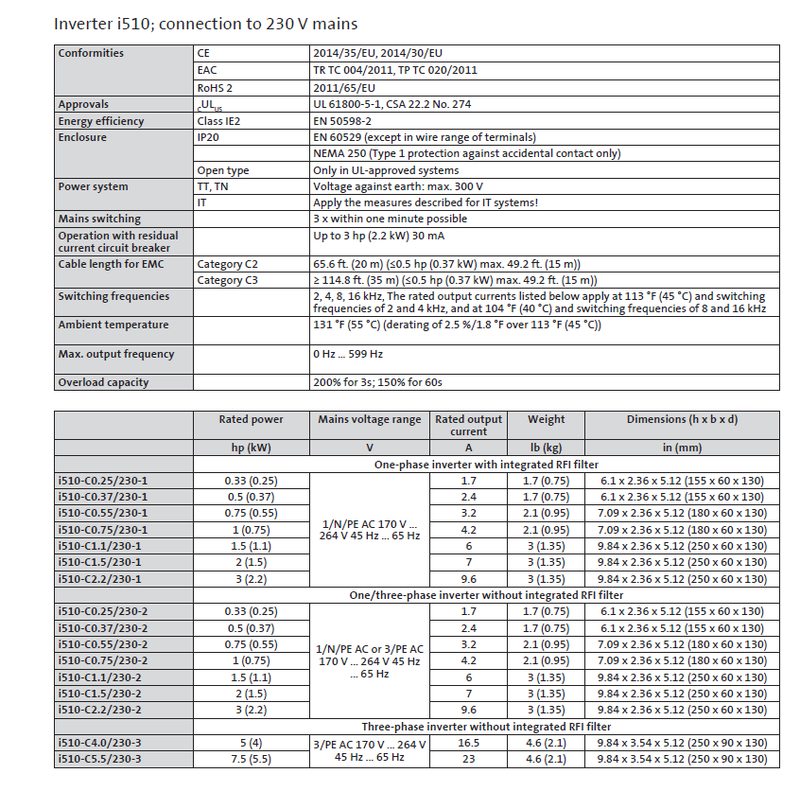 Lenze i500 inverters are compliant with efficiency class IE2. 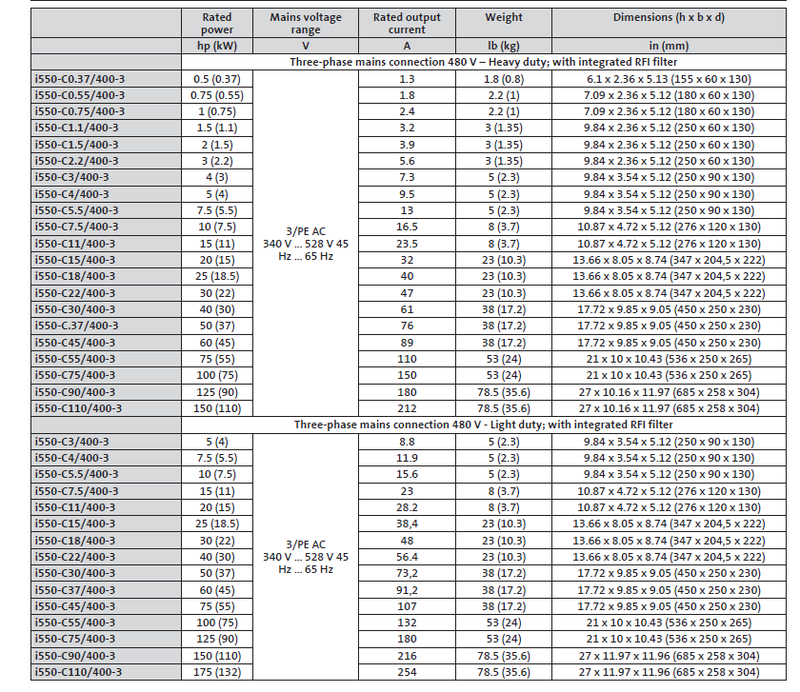 Lenze i500 inverters feature a slim design and peak energy efficiency in the 0.33 to 132kw range. Lenze set out to bundle cutting edge control technologies into a customized IE2-compliant package for machine builders. All of the Lenze i500 components are stringently designed for optimal energy efficiency, which boosts the value for machine builders by increasing power density while allowing for a smaller design. The compact, modular Lenze i500 frequency inverter features a lower housing depth along with a sophisticated cooling system to reduce heat losses and allow side-by-side installation with minimal wiring in a smaller control cabinet. Lenze i500 inverters for control cabinet installation feature IP20 and IP31-rated protection. Delivering functional scalability and integrated safety, the Lenze i500 power section is structurally separate from the control unit, and contains different forms of field bus communication, including Ethernet, multiple I/O interfaces, and plug options for a keypad, a USB interface or a wireless LAN module. These interfaces provide users with greater flexibility and ease of commissioning, parameter setting, maintenance and diagnostics. The wireless LAN module can communicate with a PC or via a smart phone keypad application. Space saving design: 2.36 in. (60 mm) wide, 5.12 in. (130 mm) deep, also zero-clearance mounting. Innovative interface options enable set-up times faster than ever before. The wide-ranging modular system enables various product configurations depending on machine requirements. The i500 is recommended in applications for pumps and fans, conveyors, formers, winders, traveling drives, tool and hoist drives. Lenze is a global manufacturer of electrical and mechanical drives, motion control and automation technology. As a global specialist in Motion Centric Automation, Lenzeoffers products, drive solutions, complete automation systems, engineering services and tools from a single source. Lenze isa leading provider of automation solutions to the packaging industry, and our other focus industries include automotive, material handling and logistics, robotics, and commercial pumps/fans. With a global network of engineers, sales representatives, and manufacturing facilities, Lenze is well-positioned to meet the motion control needs of customers worldwide.